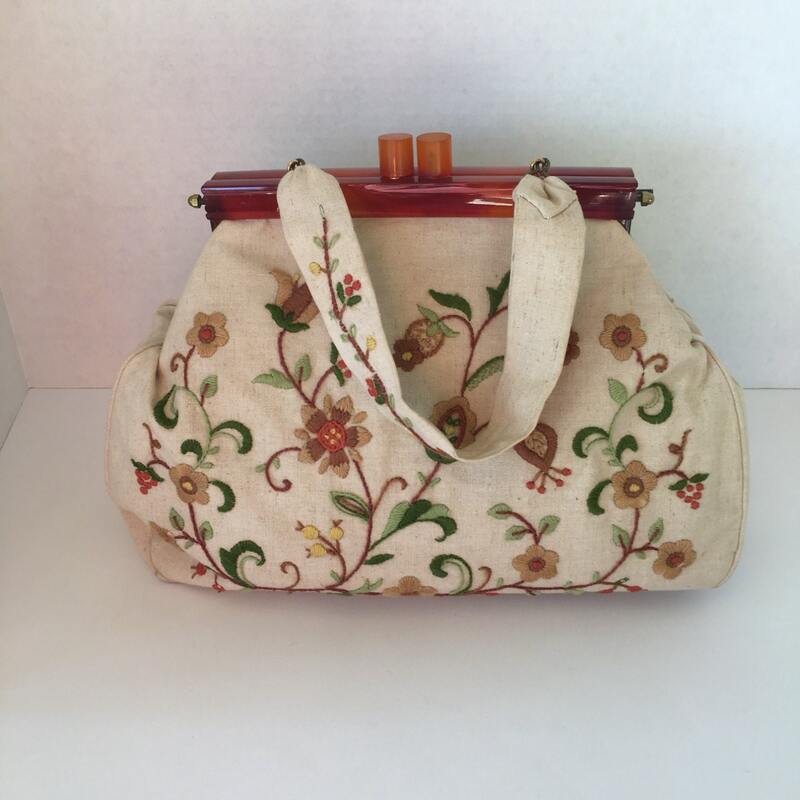 1960s/70s flower crewel purse with strap. 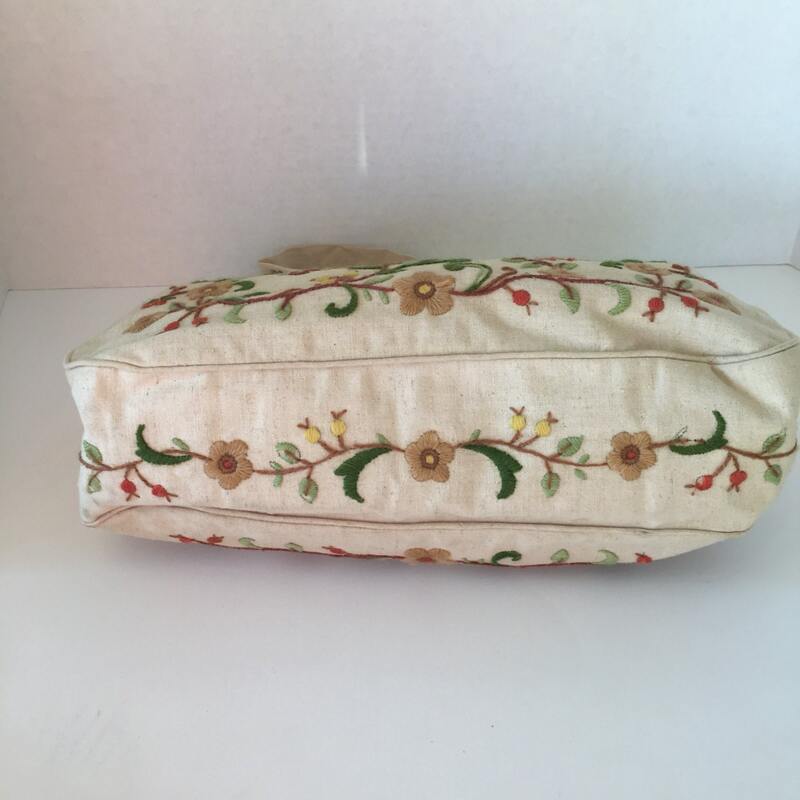 This quirky little purse has crewel flowers all over it! 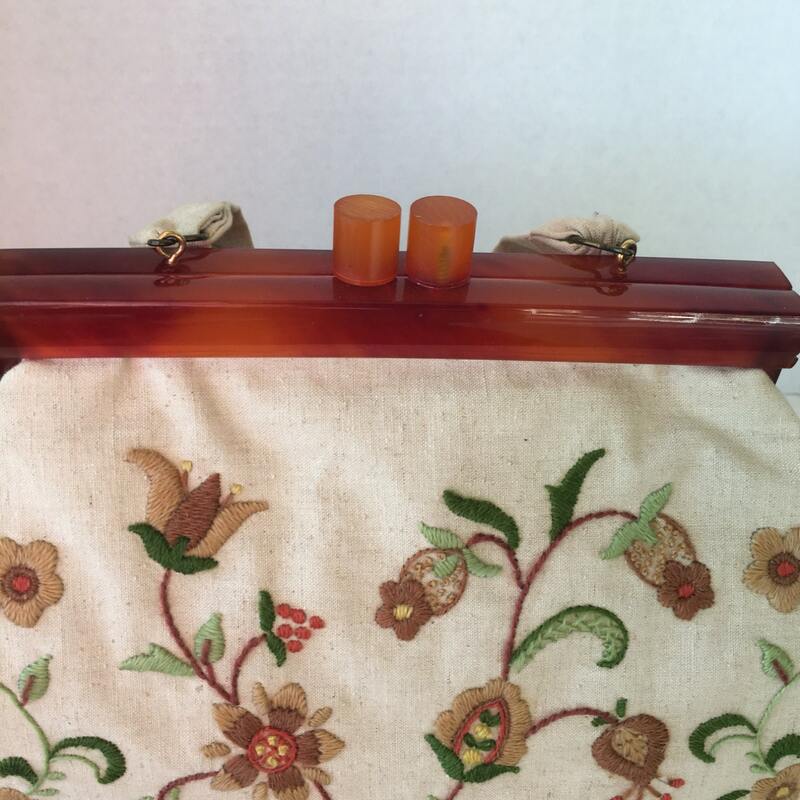 From the strap to the bottom of the purse! I believe the material is Muslin. 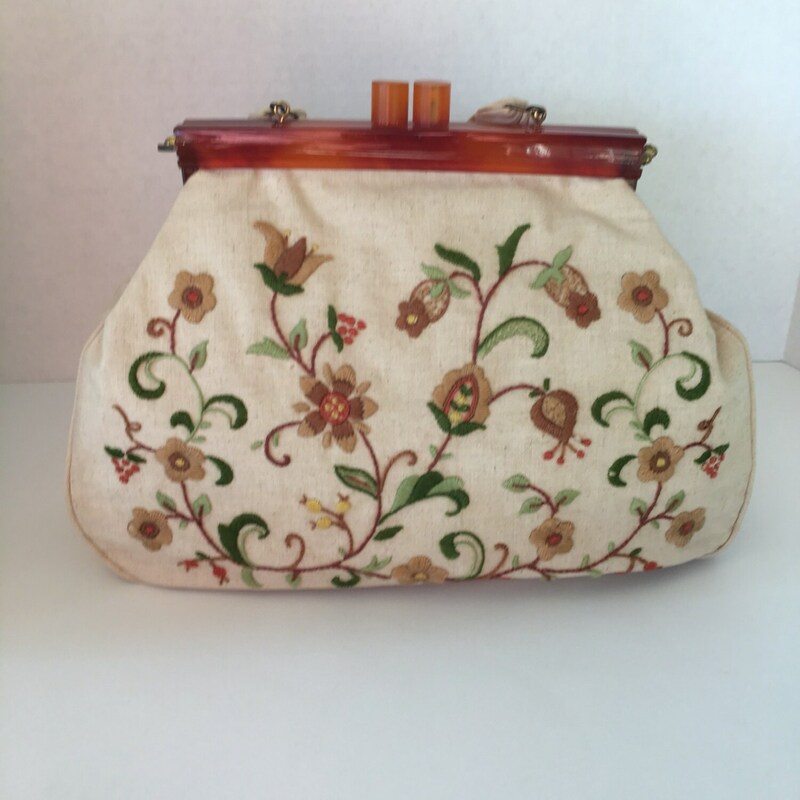 The purse measures 14 inches wide and is approximately 10 inches long. When opened its 7 inches wide. If you look in the last photo you will see it's missing an end cap. 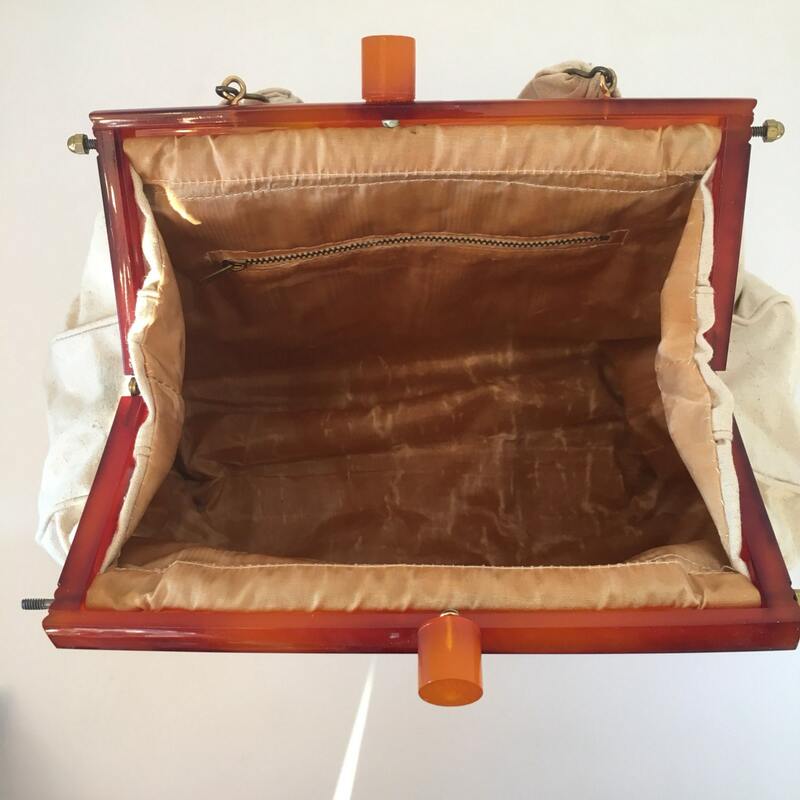 The inside of the purse has two pockets. One has a zipper.